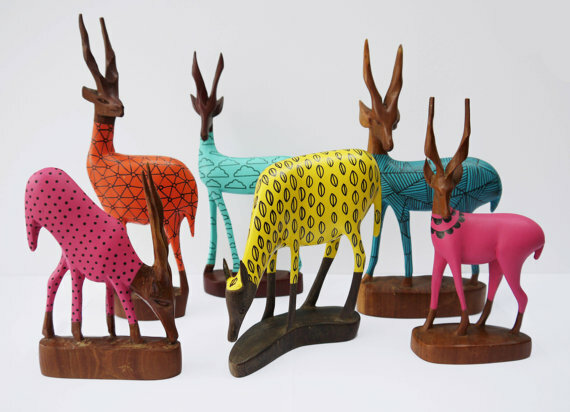 So, you think these wooden gazelles sculptures are too simple and plain? 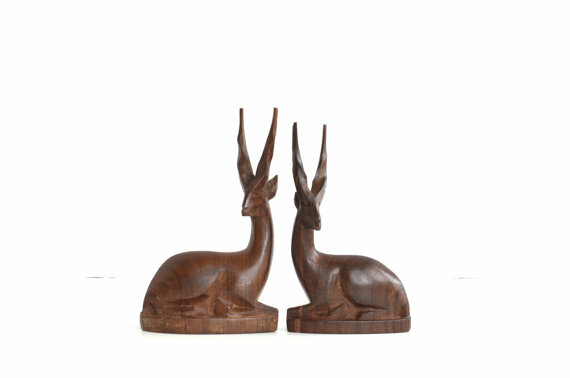 Ok, just look at the pictures below and you will see the coolest wooden gazelles ever! They are awesome, right? These artists did a great job upcycling something that was pretty simple, giving a twist and a more modern feel to those statues. 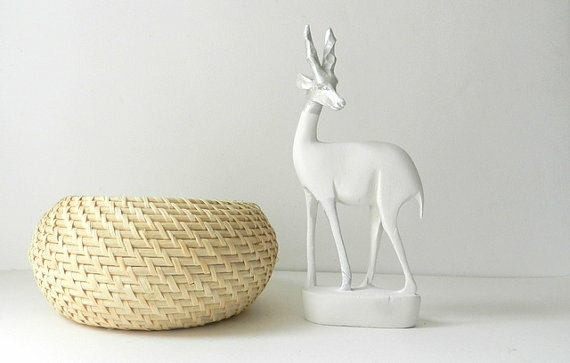 I think this would be a really nice project for a DIY, don't you? 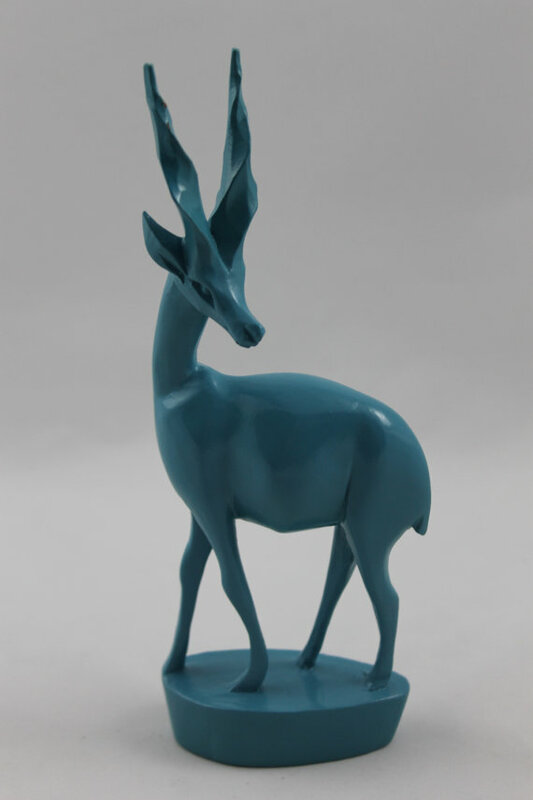 The gazelles on the top picture are available in my shop, but there are many more for you to browse on Etsy.